We gather together to light a candle and celebrate the day. We notice it’s warm glow. Some days the children notice that the flame is hard to see because the sun is shining bright, other days that are dark and gray the little flicker lights our tickled faces. As we move through the year we focus on sharing the little lights we have within. Now that it is December, the children and adults in our community know each other well. The smallest children know who to ask when they need to read something. They know who would like to help with a puzzle and who can tie a shoe. 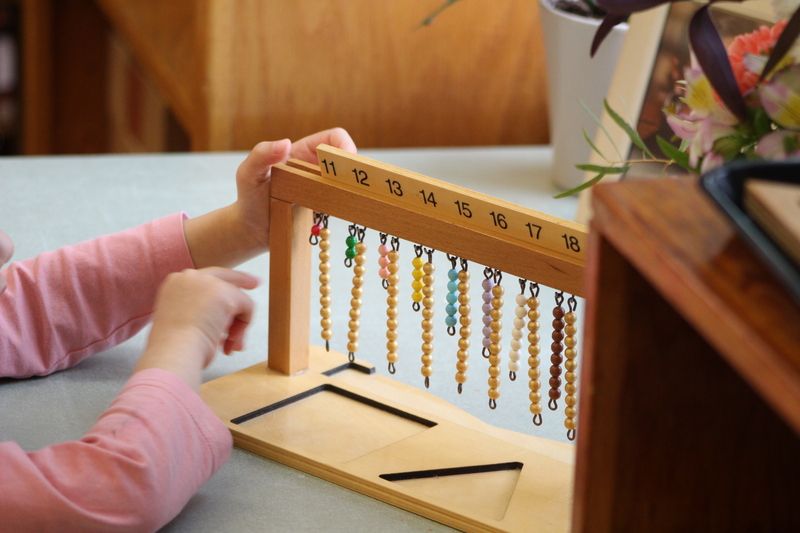 The older children know who might need help writing their name, or help counting a jewel. Everyone is becoming more aware of what they can do, and what they are learning. Together, they have become quite a community of helpers, counters, peace keepers, and friends. As we study which animals will migrate, forage, or hibernate, as well as why polar bears don’t eat penguins in the wild, the days are getting shorter in the world outside our school. We are just starting our study of the Polar Regions and the children are wild for penguins. They are walking the line with penguin slippers, balancing an egg on their feet just as the Emperor Penguin parents have to do. We sing our winter songs, ‘The North Wind Doth Blow’ and ‘The Land of the Midnight Sun’, and act out ‘Build a Little Snowman” encompassed in a sea of giggles. Children are also pouring with tiny penguin pitchers, counting from 11-20 with penguins, and reading books and watching documentaries to learn new facts about the fascinating animals. Did you know that there are 17 different species of penguins and we decided the best names are: Fairy, Macaroni, Chinstrap, Rockhopper and Emperor. In preparation for the Festival of lights, we will be celebrating Hidirellez, the Turkish holiday ushering in spring. It is a time when wishes are granted and mistakes are forgiven. We will be learning a new song and preparing all of our wishes. Look for an email next week with more details. to feel the warmth in our hearts and let our little lights shine! It seems fitting to end this note with a poem we often end our day with…. From your heart, to your lips, to everybody!